Of course, it's possible we just make it look easy. 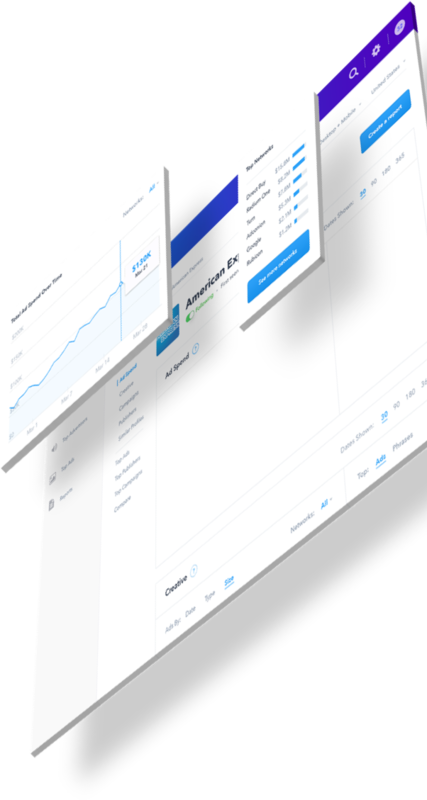 In reality it takes massive amounts of data, rich tools for producing insights, and robust, customizable reports that let you export the data that's most important. 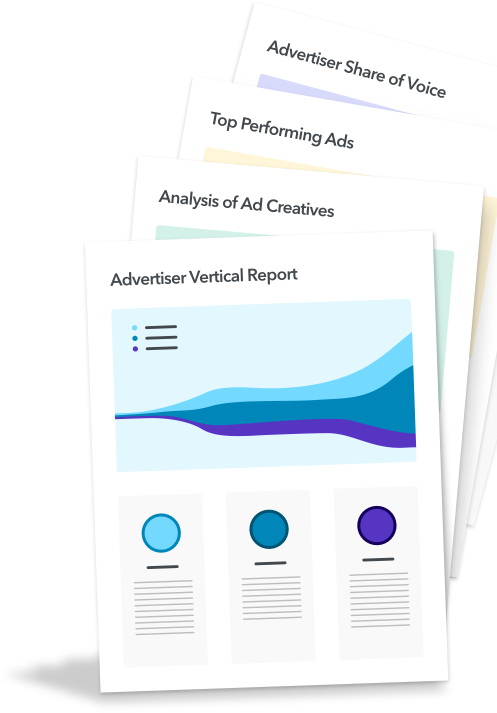 Discover why Adbeat is the go-to intelligence platform for the world's top advertisers, agencies, and publishers. 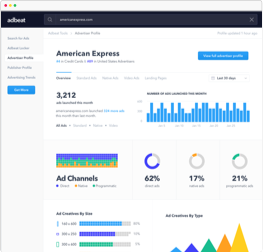 Adbeat has high quality data and global coverage across 120+ top ad networks. Reveal media buying strategies, top creatives, landing pages, and estimated ad spend. 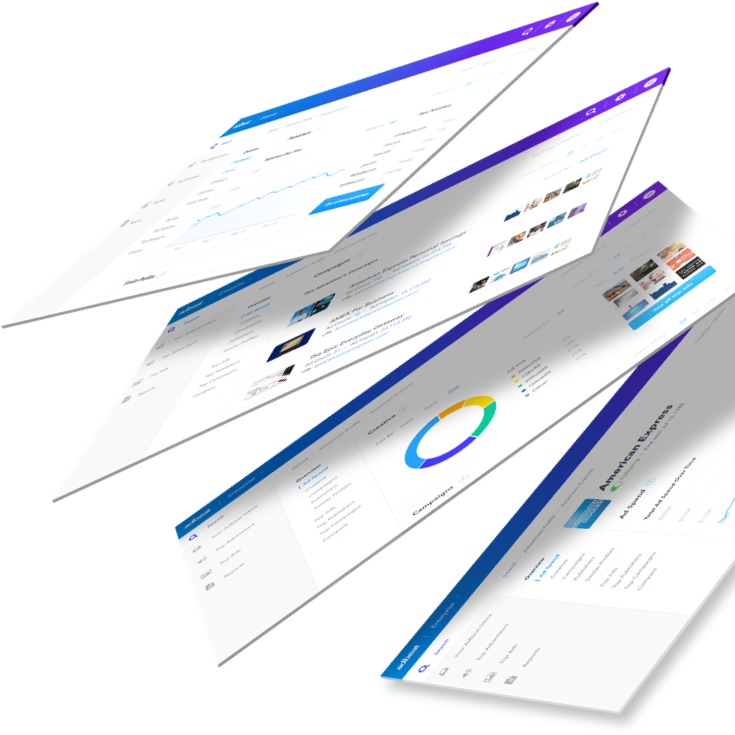 Generate amazing reports in a variety of formats. Set up Alerts so you never miss a thing. 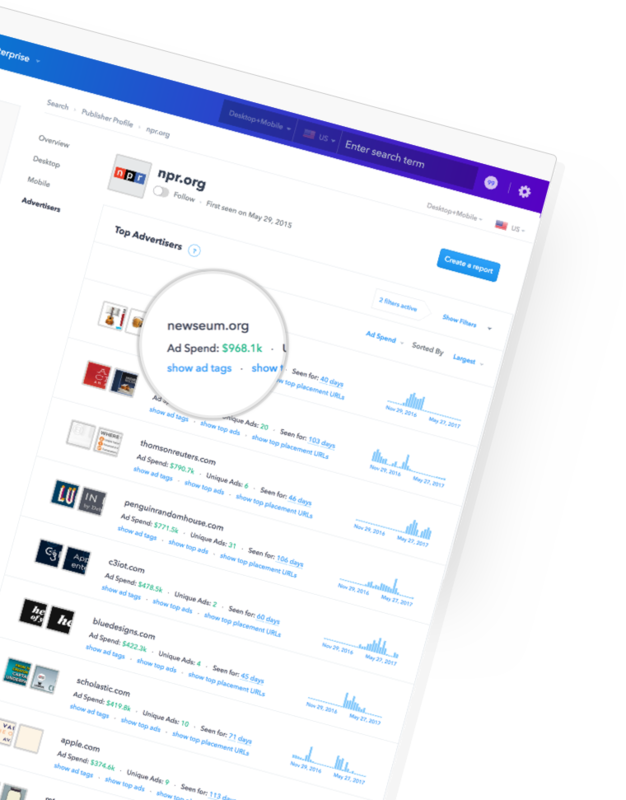 Compare advertisers, dive into campaigns, and get detailed publisher data in just a few clicks. Sort all advertiser data by country and device type. Power up your mobile and international campaigns by accessing advertiser data on 4+ device types and 20+ different countries. Find out if a network sends profitable traffic before investing your ad dollars. 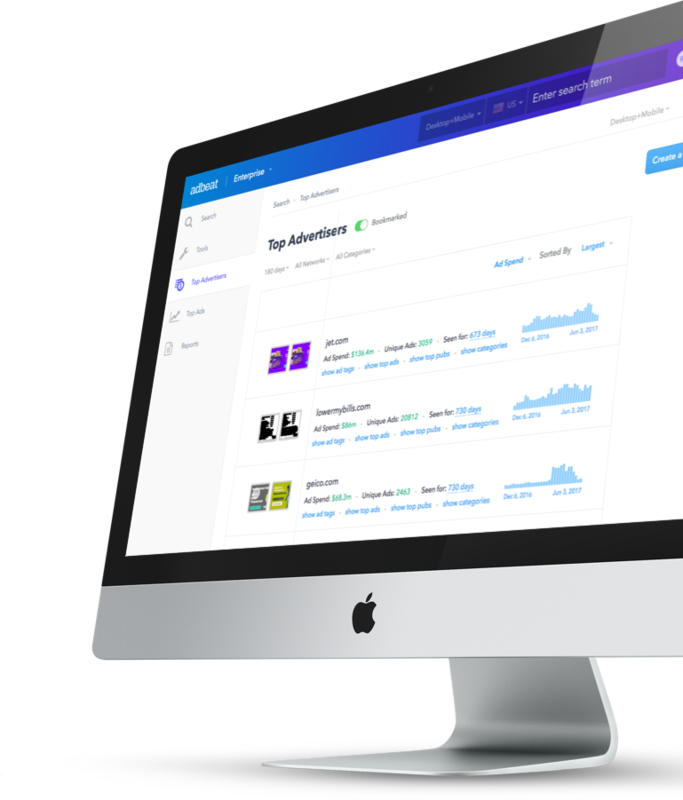 Adbeat has data and insights for native ad networks like Taboola and Outbrain. See how your competitors buy traffic from any publisher. Discover new ad networks and direct buy opportunities. 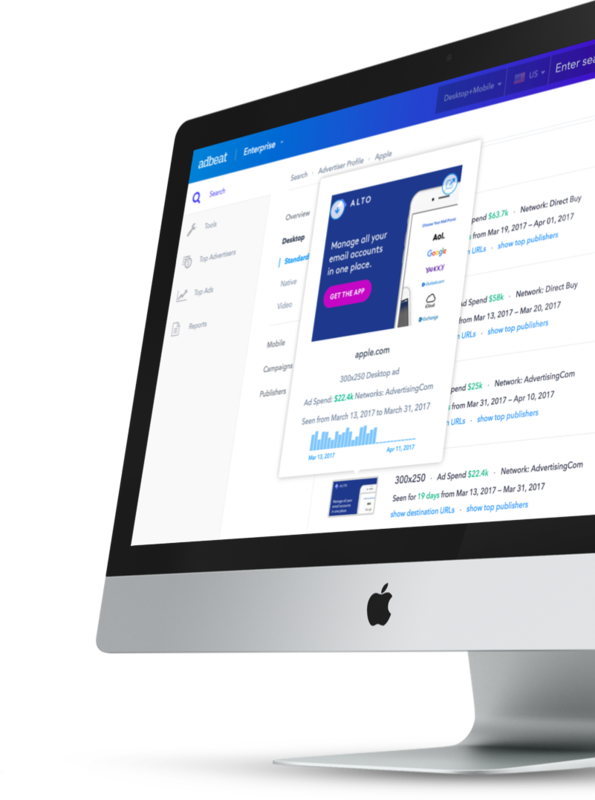 The Advertiser Dashboard gives you a bird’s eye view of any advertiser’s media buying strategy. See their most successful publishers, networks, ad types and more. 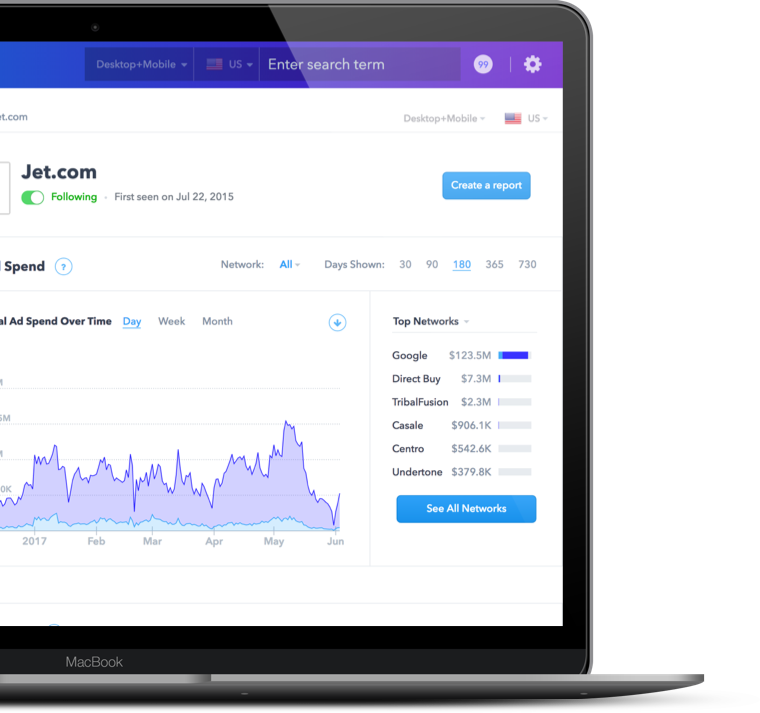 Uncover new traffic sources and placements that are already working for advertisers in your industry, plus estimated ad spend down to the dollar amount. 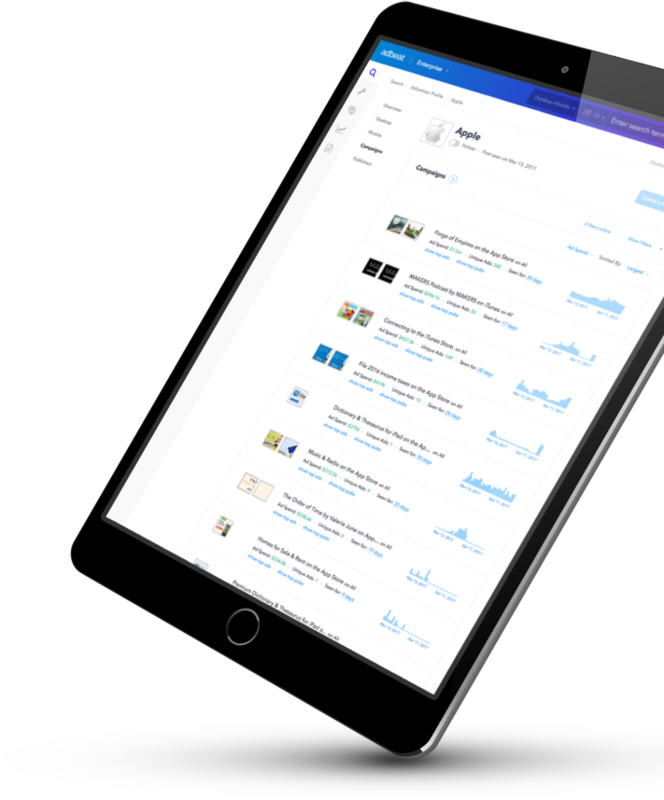 Develop your creative strategy with insights from the Top Ads tab. Browse all creatives and formats -- image, text, flash, and text-image creatives -- for any advertiser. 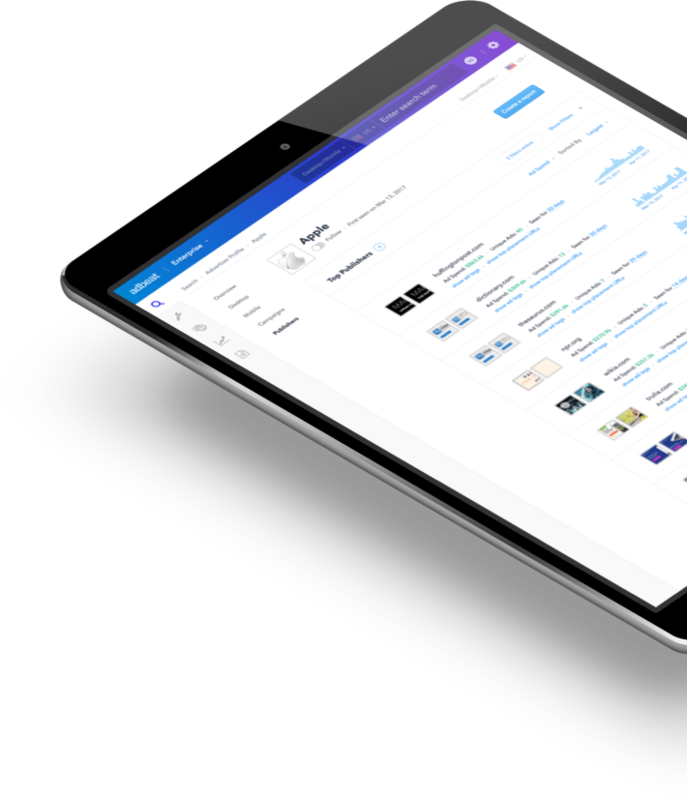 You’ll also get the flight dates, trends, landing pages, and specific publishers for each creative. Hover over and download any creative in our database. Use these ads to help inspire your internal team or impress clients by sending them the exact creatives that their biggest competitors are successfully using. 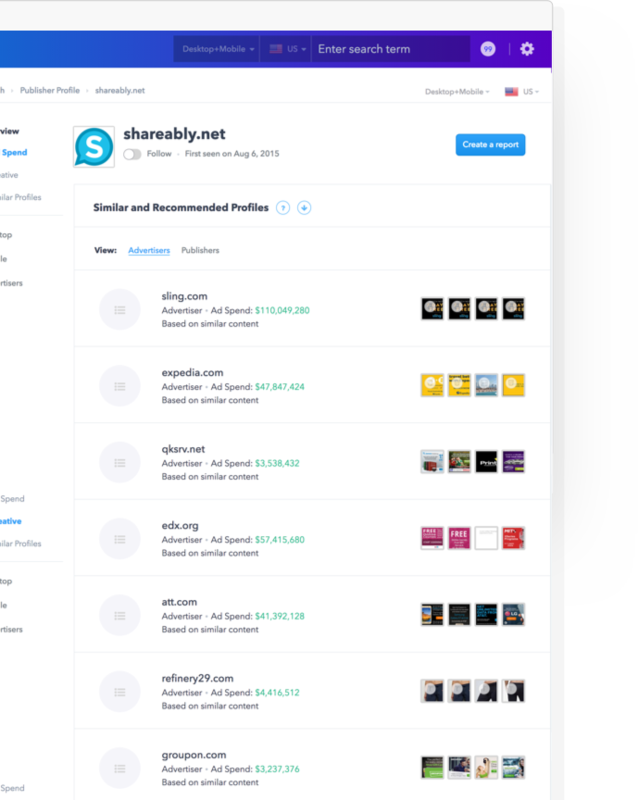 Adbeat’s Top Publisher tab shows you which publishers your competitors buy the most traffic from. Leverage this information to spend smarter by testing out publishers that have already been proven to work for the competition. Get the complete low-down on all advertisers for any publisher. Uncover who's buying, which network they're using, and how much they're spending. 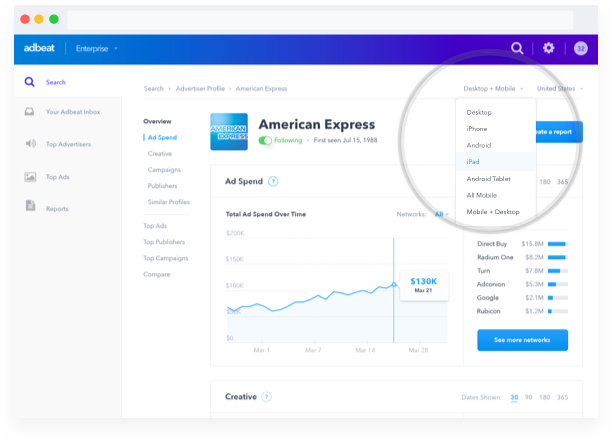 Identify advertisers relevant to your industry who are already spending a significant amount of money with similar vendors, but not with you. Use the "Similar Publishers" panel to discover the big player in your industry. Uncover who their biggest clients are and how much they're spending. Leverage this information to streamline your sales process and close more deals. Use the "Recommended Advertisers" panel to identify similar advertisers. Make the easy sell by finding advertisers that already buy ad space from publishers in your space. 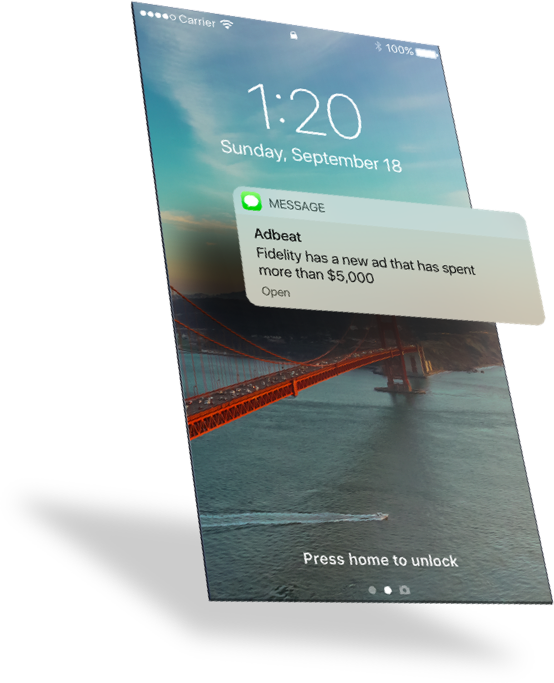 See which advertisers already spend a significant amount of money with similar vendors, but not with you. By seeing their exact ad creatives, landing pages, and ad spend, you can develop a pitch that's guaranteed to seal the deal. Export and share reports. Complete data sets are available in multiple formats including: CSV, PDF, and presentation-ready PowerPoint decks. 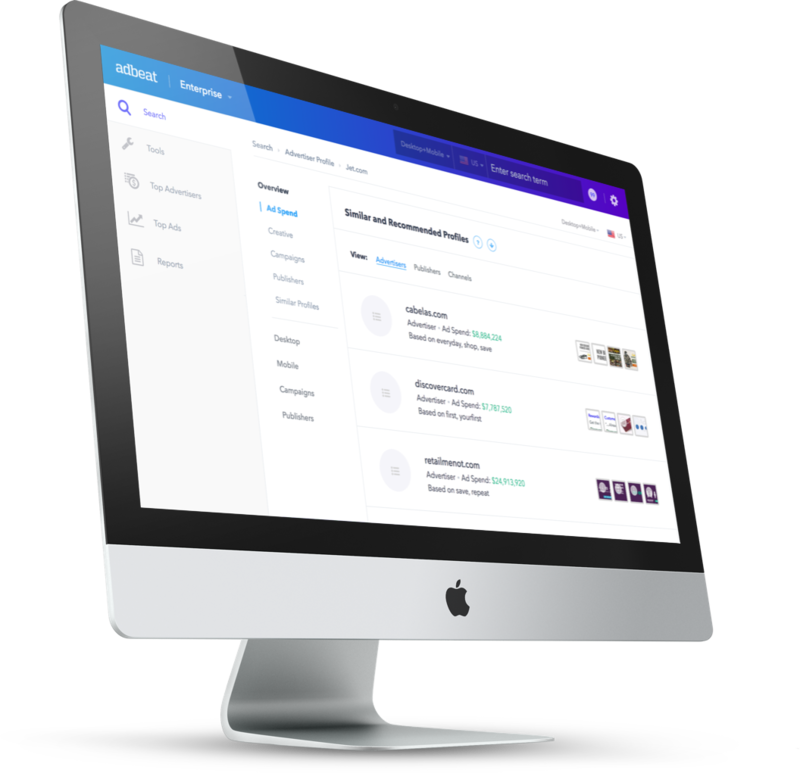 Create and export actionable reports for clients or your internal team. Your client will love the quality of data and intelligence that an Adbeat report gives them. See how your competitor's spending strategy has evolved over time. 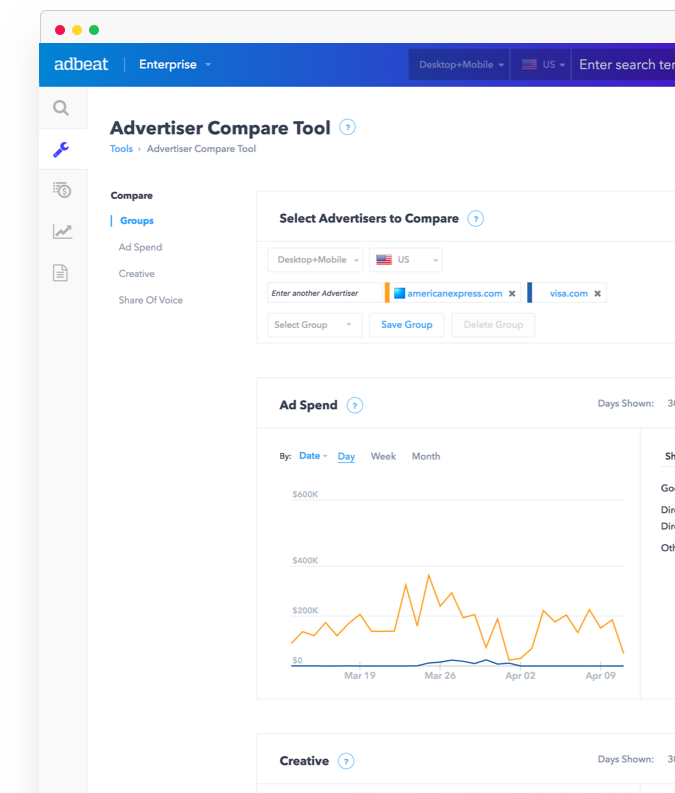 Use the Compare tab to get side-by-side comparisons for up to 5 advertisers. View daily, weekly, monthly, or quarterly data on spend and trends. 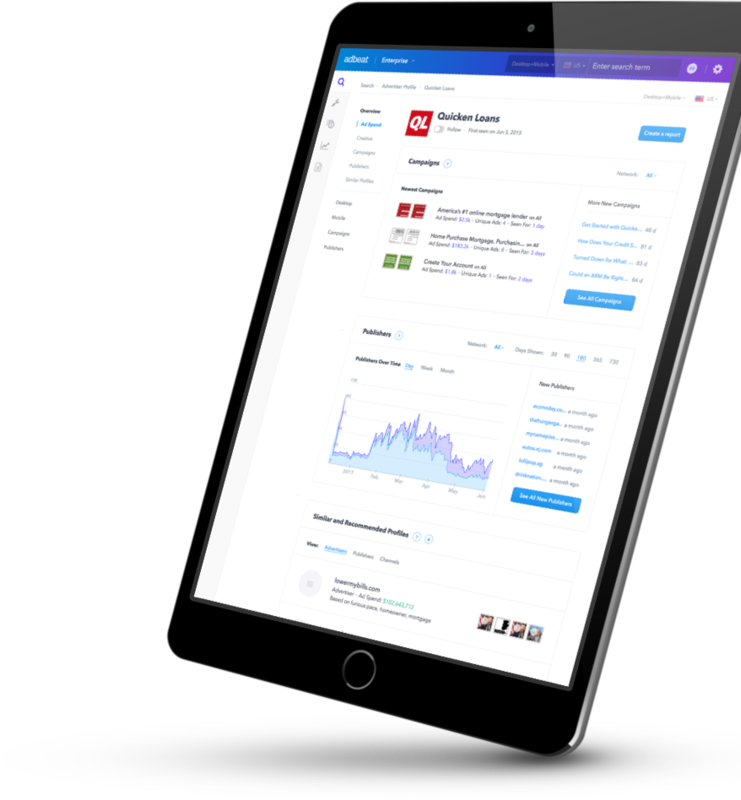 Adbeat's Top Publisher tab shows you which publishers your competitors but the most traffic from. Leverage this information to spend smarter by testing out publishers that have already been proven to work for the competition.